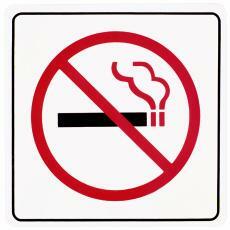 Rockville's Mayor and Council passed a new ban on smoking in outdoor dining areas last night in a 4-1 vote. The vote came after an emotional appeal by the leading advocate for the ban, resident Adam Zimmerman, during the Community Forum portion of the meeting. Councilmember Mark Pierzchala cast the lone dissenting vote, saying he fears an outcome such as residents living adjacent to Montgomery College experienced, when that campus went smoke-free. Smokers who couldn't light up on college property migrated into the residential community behind the college to puff away instead. Pierzchala predicted smokers banished from Rockville Town Square dining spaces will likely move in front of other businesses and properties downtown, calling these "unintended consequences" of the ban.